Located on Dongfeng Middle Road, is dedicated to the founder of the Republic of China and local hero Dr. Sun Yat-Sen. 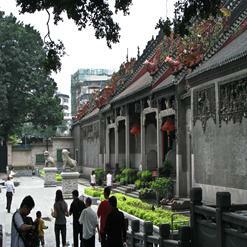 It was constructed in 1931 and built on the original site of Sun Yat-sen's presidential office on Yuexiu Hill. Open from 08:00-18:00. Admission is free for the park but ¥10 to go inside the hall.